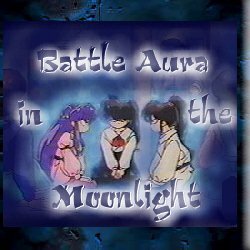 Battle Aura in the MoonLight These young warriors of Ranma �. These young people. They are so brave..fighting for a cause. ((Usually beating up on each other for revenge or something -_-*)) These strong fighters with their own unique weapons and martial skills. Ukyo, with her spatula and flours bombs, Ranma with his exceptional skills in martial arts training such as Chestnuts roating on an open fire and the rising dragon wave technique, Akane, uuuh..she cant lifts tables and junk, Ryoga with his umbrella, bakusai tenketsu tech and other skills, and Shampoo with her bonbori and martial arts style that proclaimed her as a champion in her village. They make an awesome team, who together, have the ability to conquer anything in their path...and nothing will stand in their way. Life, liberty, love..
"ARE YOU TALKING ABOUT US?!?!?!" hey you!!!!! Please, please..Join my new web ring for Ranma �, as well as other anime homepages!!! If you have already joined and need an html fragment in which to add to your page, click Here! Want to join the Battle Aura in the Moonlight ? Home to my little dream castle of Shampoo and Ranma?